The U.S. Supreme Court has put off the decision on whether it will consider federal lawsuits challenging the constitutionality of the Defense of Marriage Act and California’s Proposition 8. 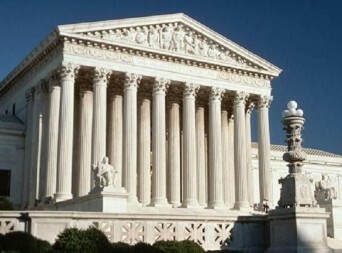 According to a report issued on Tuesday, justices during their conference on Monday decided to grant writs of certiorari, or take up, six pending cases, but neither the challenge to Proposition 8, known as Hollingsworth v. Perry, nor the one the legal challenges against Section 3 of DOMA, Windsor v. United States, appeared on the list of lawsuits on which decisions were made. It remains to be seen whether the court will take up them up. Both cases were docketed during the conference on Monday. The conference was the first time justices met to consider which cases they will hear over the course of the term starting this fall. Posted September 26th, 2012 & filed under News, Politics.